What do I do if a loved one dies at home? If the death is discovered suddenly the local police should be contacted. Early notification of the funeral home is also advisable. If the person is attended to by a Hospice Center or Home Health Care Provider they should be immediately notified. Our Funeral Directors are available 24 hours a day, seven days a week. I've decided on cremation. Can I still have a funeral or a viewing? Yes, quite often some sort of viewing precedes the actual cremation. We can assist you with different options available to meet each family’s needs. For more information on Cremation options, click here. If a family member dies out of state, what should I do? Call us first. We can assist you with out-of-state arrangements and arrange for local representation. You only have to deal with one funeral home and one funeral bill. 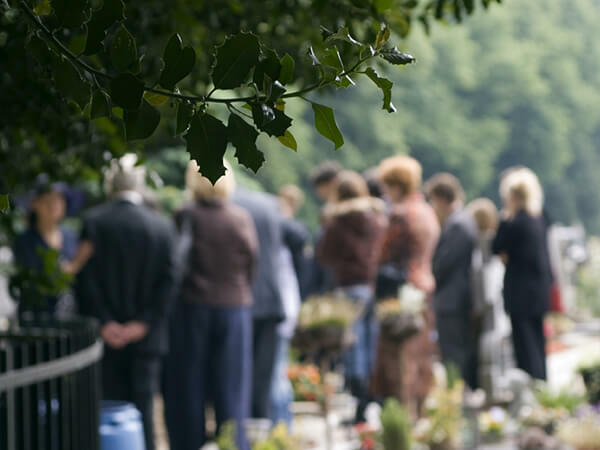 Our membership in the National Funeral Directors Association as well as memberships in other national organizations provides us with funeral service contacts worldwide. Should I pre-plan a funeral? Many people consider preplanning a funeral as one of the most compassionate, loving things they can do for themselves or a family member. When you pre-plan, you may select exactly the type of services and merchandise your desire. It can also relieve loved ones the burden of making arrangements in a time of sorrow and uncertainty. Click here for additional information. What to expect when you meet with us. What is the difference between family-owned and corporate-owned funeral homes? Large corporations answer to shareholders. In our family owned funeral home there is no pressure from the home office to increase profits or adhere to mandates. Our family takes great pride in our funeral home and in satisfying the needs of our friends and neighbors. We have a personal long term commitment to the community. It is an outer enclosure (made of concrete, steel, fiberglass, etc.) into which the casketed remains are placed. Cemeteries may require the use of some type of outside enclosure.